so named because ben thought they were CRAZY when i first made them. they finally fit! now ben likes them. i always thought they were happy making. and who wouldn’t like them on such a cutie? (i may be biased). raveled here. 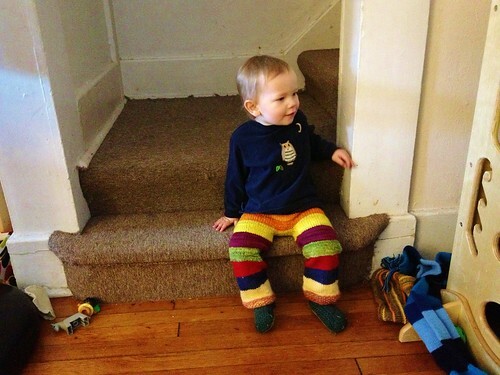 This entry was posted in baby, cosyknitsliterally, knitting, longies by cosymakes. Bookmark the permalink. Love them! 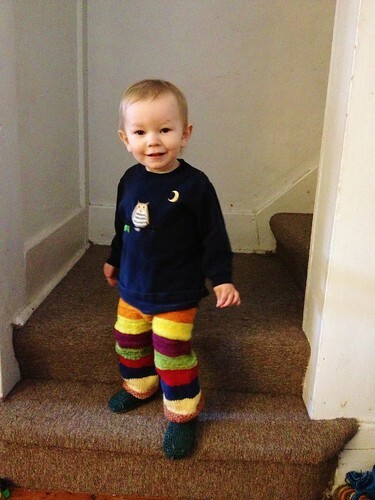 I think all toddlers and babies should wear clown pants like those! yes! 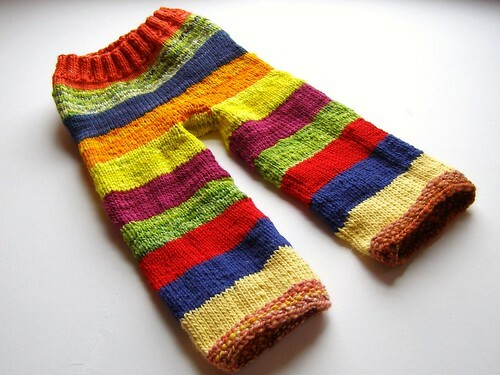 i think all babies should have bright stripey pants too. These are just too darn cute. Looks like M is very happy with them. Everyone should wear clown pants like these, not just babies!